Are Garbage Disposals Bad For Pipes? A question we get quite often is Will a garbage disposal clog my pipes? The short answer is No, BUT (yes, there is a BUT) it depends on how you use your garbage disposal. You see, most people aren't aware of the proper way to use their disposal, but if they are and they follow the guidelines, then it absolutely will not harm or clog or damage your pipes in any way. So, let's go over some Do's and Don'ts. Before we begin to talk about the general guidelines of usage, let's start at the installation process. 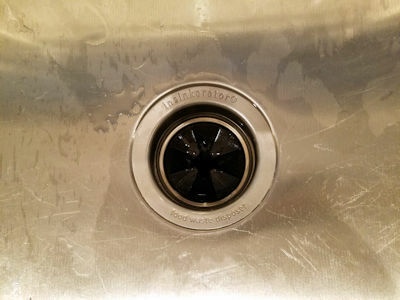 We do encourage you to use an experienced plumber to replace and/or install your garbage disposal because a proper installation will save you money in the long run. You see, pre-existing clogs must be cleared, in fact the drainage pipes should all be cleared before installing a garbage disposal. No garbage disposal is all powerful. So, it's important to remember what you can and cannot put in the disposal. Anything you put in there must move through your drainage pipes, therefore, what you put in there must be able to clear and exit those pipes. It's a good rule of thumb to remember to put only food particles in your garbage disposal that can be liquified. This will ensure that it can move through and clear out of the drainage pipes. Never run your garbage disposal without a strong flow of running water. Preferably cold water. Reason is that cold water will cause any grease or oils that you may have accidentally put down there to solidify. Once it's more solid then it can be chopped up in the disposal. Run your garbage disposal regularly (even if you haven't put anything down there). This helps to prevent rust and corrosion. Do NOT shove items into the disposal, especially large items. Dispense what you put in the disposal and cut any large items down to smaller sizes. Do NOT put anything in your disposal that is not biodegradable food. It's not a trash can. Do not pour anything that may be combustible into your disposal. The reasons are obvious. Don't turn off your disposal until it's completely finished grinding the food particles in it. Let your flow of water run for about 15 seconds after you do turn the disposal off. Clean your disposal by tossing a piece of lemon or orange into it and grinding it. Once a week is a good rule to follow. Clean your disposal with ice cubes made of vinegar. This sharpens your blades AND kills any odor causing bacteria. If the disposal is producing an a strong odor that you cannot seem to get rid of, we recommend pouring 3 to 4 tablespoons of Borax down that drain. Let it sit there for about an hour. Then turn on the hot water to flush it away. This should go without saying but - NEVER, NEVER, NEVER put your hand in the disposal, even if it's turned off. Let a professional retrieve whatever object you are searching for in there. Avoid putting any of these food items in your disposal - it's just not worth the risk of wrecking your unit or your drainage pipes. It's efficient and easy to put food particles in the disposal vs. the garbage can. You won't have the odor of the food coming from the garbage can! Although if you do not maintain your disposal unit properly you could potentially have odor coming from it. It's estimated that the average amount of water used for garbage disposals is 1 gallon per day. If you live in an area that has to conserve water (such as the desert) then this is an absolute Con. As we noted earlier, not all foods can be put down the disposal unit - and it may be difficult for some people to remember what to put down there and what foods to avoid. So, there is a risk of clogging up the unit at some point in time. Since there is an amount of water that is involved in using a disposal, it's therefore considered NOT to be the most environmentally friendly option as far as a method of disposing food and scraps. So - Are Garbage Disposals Worth It? Only you can answer that question. Look over the pros and cons, consider the cost of having a disposal and maintaining one. Finally, consider the convenience issue as well. If you do decide on installing a disposal unit, here are some tips on how to choose the best one for you. Continuous Feed - runs as long as the switch is turned on. So you can keep putting food down the disposal while it's running. Batch Feed - runs only when you put the cover on. So, you can only put so much food in the disposal, run it and then repeat the process. What horsepower can you afford? The biggest difference between least expensive and most expensive disposals is the amount of horsepower (how powerful they are). It ranges from ¼ to 1 full horsepower motors. Basically, if your household has one or two members, you can probably do very well with the ¼ horsepower motor but if you have a large family, well it may be worth it to go for as powerful a motor as you can afford. The noise factor can be a deciding issue. 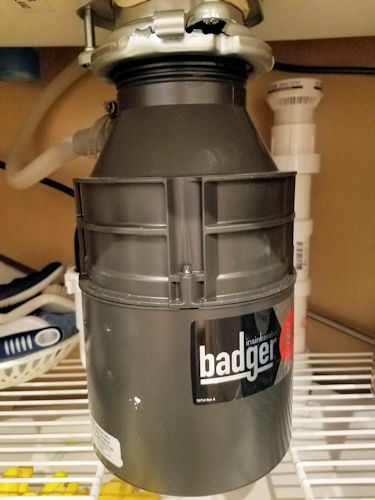 Again, many of the more expensive garbage disposals come with noise dampening materials that reduce the noise (but don't eliminate it of course). Stainless steel parts. If you plan to live with your disposal for many, many years you may want to consider getting one that has stainless steel parts. These resist corrosion which in turn gives the disposal a longer and healthier life! If you have any questions about installing or fixing garbage disposals or you need help in this matter, then call us at Atlantis Plumbing in Atlanta, Ga. Our phone number is 770-505-8570.